Maybe I have too much time on my hands, but after seeing the neat historical clock in the Old Bank Arcade in Wellington I thought I’d look for other curious clocks around the country. 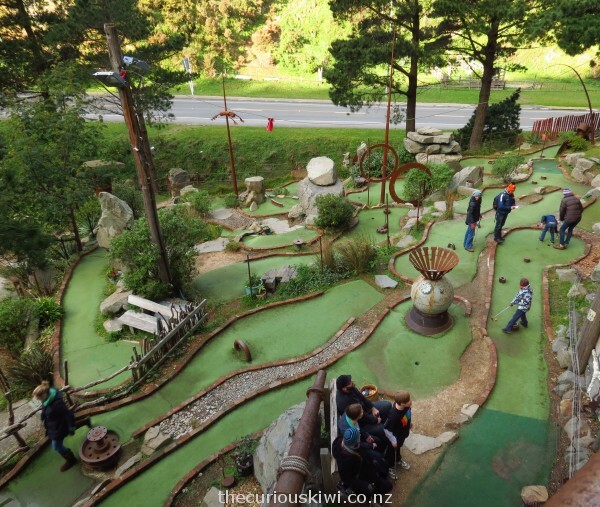 There’s no better place to start than a clock museum …..
Claphams Clock Museum in Whangarei has over 1600 clocks and timepieces. 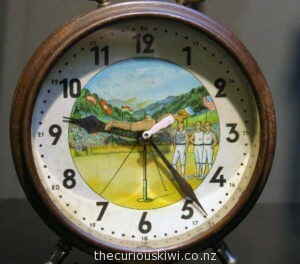 The collection was started in 1961 when the Whangarei City Council paid a token sum for 400 clocks belonging to local man Archibald Clapham. This year’s Shapeshifter outdoor sculpture exhibition in Lower Hutt has over 50 sculptures made by 44 New Zealand artists. Works are on display from Friday 26 February – Sunday 20 March from 11am – 7pm daily. Entry is $10 adults. All sculptures are for sale. (Have a sneak peak on Facebook). 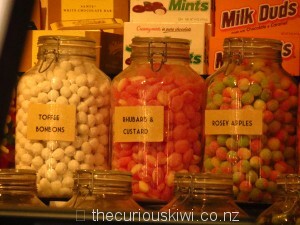 Update 2018: Louis Sergeant Sweet Coutere has relocated to 111 Lambton Quay. 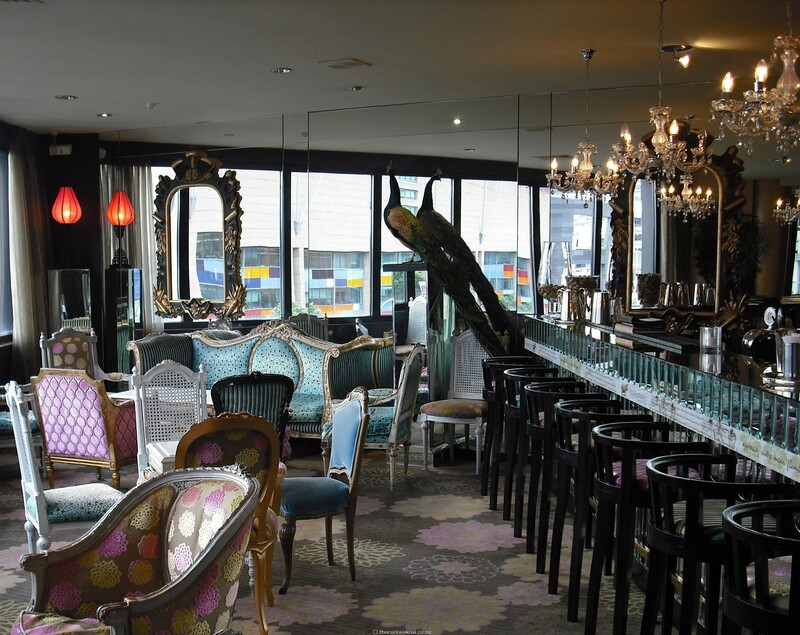 Louis Sergeant Sweet Couture is a little bit fancy with the large portrait of Marie Antoinette coordinated with the light fittings, couch, and cushions. Recently I wrote about Ngopi in Auckland, a Malaysian cafe that donates its profits to charity. 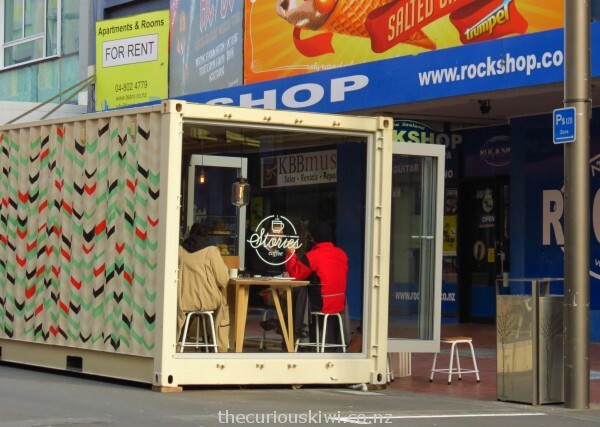 In Wellington there is an espresso bar in a container on lower Cuba Street called Stories. Stories Espresso Bar was set up by youth organisation Zeal to provide employment and work experience for young baristas. All sorts of curious items find new life as wearable art – used tea bags, bird wings, and even whole budgies – Budgerigar Brassiere. One designer mentioned half a gallon of Mac’s Gold beer in her materials list although that may have helped fuel her creativity. I’ve read that interior designer Michael Nolder was tasked with creating ‘New Zealand’s best bar and something completely over the top’ when redesigning Hippopotamus Bar at Museum Art Hotel in Wellington. 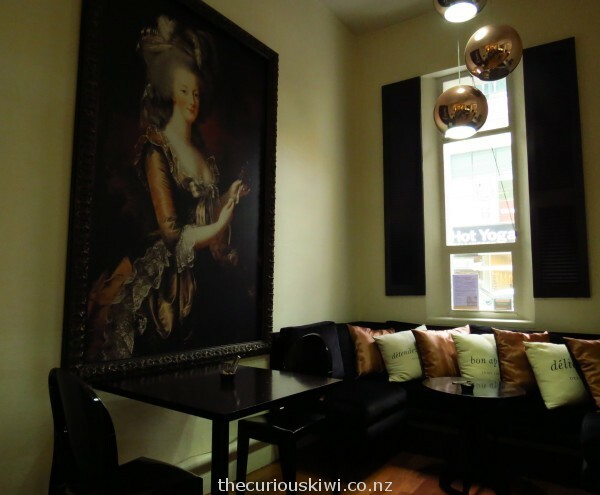 In my opinion he nailed it, here it is in all its elegant glory ……..
Below are a few unusual places for a brew, alcoholic or otherwise in Wellington …. 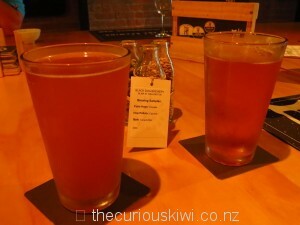 The Backbencher Gastropub is opposite Parliament and has a political theme. There have been a series of satirical political puppets strung up over the years. 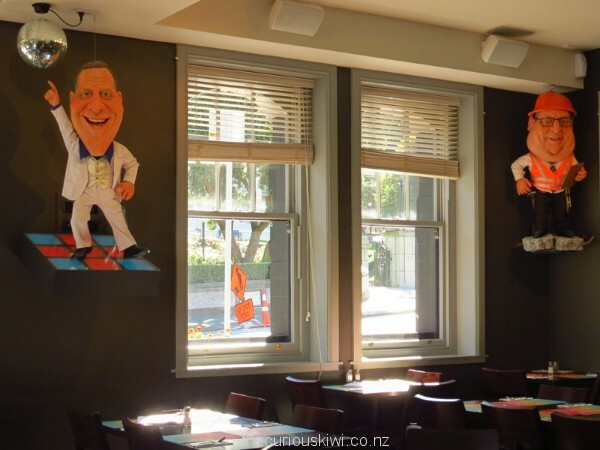 Prime Minister John Key unveiled a new set of puppets in 2013, including one of himself disco dancin’. We’ll see if he’ll be ‘stayin’ alive’ after the 2014 election. We don’t go to the movies often enough, it’s a cheap ticket to a foreign land, or at least a window into another world. 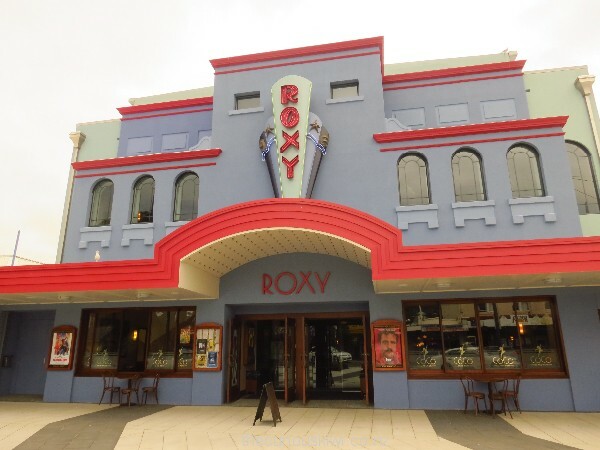 We didn’t go to the movies in Wellington either, but we did find there’s more to Roxy Cinema in Miramar and Embassy Theatre in downtown Wellington than movie theatres. (And excellent theatres they are too according to rave reviews I’ve read). 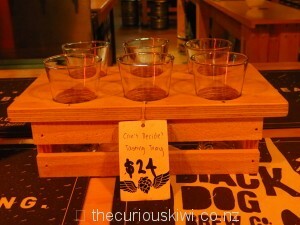 Craft beer at Black Dog Brew Co in Wellington? I really wanted to like the Lucky Mongrel golden ale at Black Dog Brew Co, but it was the White Fang wheat beer that got me up for a second glass. Mike’s pick was the Golden Lab, I don’t know if they’re attempting to match beer to personalities but Mike’s definitely a docile lab and I can be feisty at times.